Three premier organizations in healthcare marketing and benchmarking research teamed up to conduct a national survey of leaders from various healthcare providers to gain insight into the best practices they employ to manage their patients’ experience and how they view this somewhat new concept. 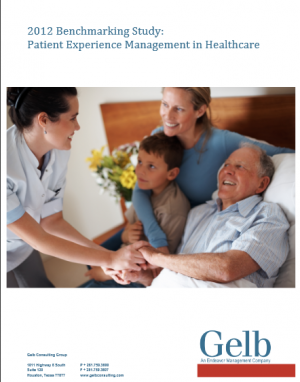 The research outlined in this paper reveals many positive trends in experience management and identifies key priorities for further development of patient experience strategies. It sheds light on the importance of patient experience management as an organization strategy rather than a one-off, isolated initiative. In this paper, we explain how the research identifies some “best in class” practices used to achieve excellence in patient experience management. We highlight the key findings from the research and webinar used to present this research with added commentaries not shared via the report.